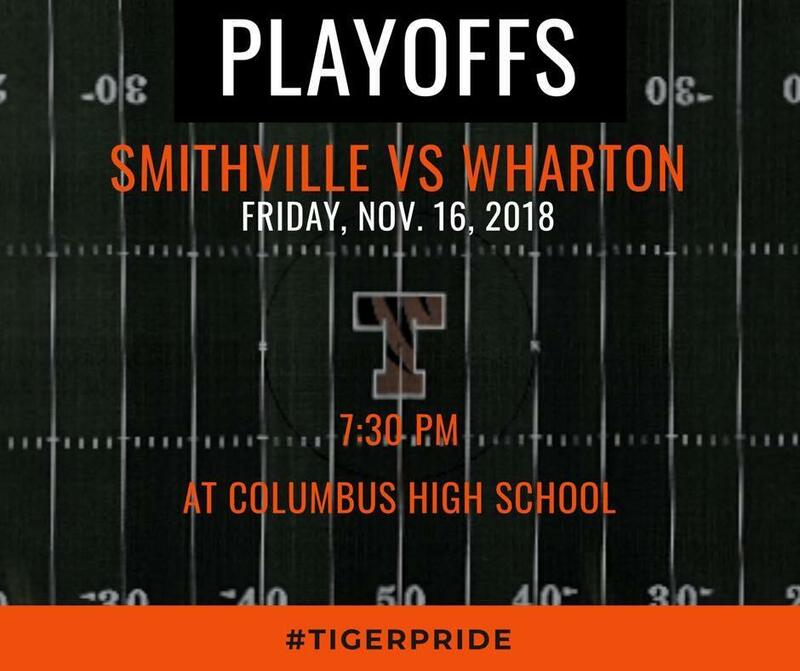 The Tiger Football team will play Wharton in the Bi-District Playoffs on Friday, November 16th at 7:30 PM. The game will be played at Columbus High School Memorial Stadium located at 130 Legion Dr. Columbus, TX 78934. STAY WARM AND WEAR YOUR ORANGE & BLACK!